I will be sending you an email with a request for a mailing address. If there is no response after a week, another winner will be chosen. Please check out the other give-a-ways going on this month. I will randomly draw a name on July 8. So please leave your name and email address in the comments if you would like to be entered into the drawing. No info means no book. Also I will provide extra entries to anyone who shares this on Facebook. Just post another comment letting me know you've shared. How to Start Them Young and Keep it Fun! Alt has hiked the entire Appalachian Trail, the John Muir trail, through Ireland, and many other places. He was an experienced hiker before his children came along and he vowed to continue hiking with them. With his children are now older and just as in love with hiking as he and his wife, he decided to share his tips and expertise. This is one of the most comprehensive and well thought out books on hiking that I've come across. The book is broken down into different sections based on the age of the child and is filled with tips, hiking equipment lists, and amusing stories. It is an amazing resource about how to get your children to fall in love with nature through hiking. I am definitely keeping this book and would highly recommend it. Joanna is shocked when her father brings her a surprise birthday present - a preacher. Yes, she asked for a preacher for her birthday. She just never expected her father to kidnap one. Now what are they supposed to do? Can Joanna make him see the importance of staying or will he continue on to his appointment? The concept for this story is unique and interesting. The characters have depth and are enjoyable. Elements of faith were sprinkled through out the book, but didn't make it heavy or overly preachy. I enjoyed the romantic part, but also the interaction between father and the preacher. I've really enjoyed reading the books by this author and look forward to reading more. 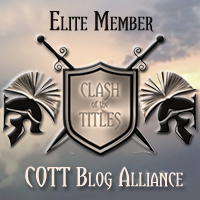 More free books - just like I promised. This book is very informative. 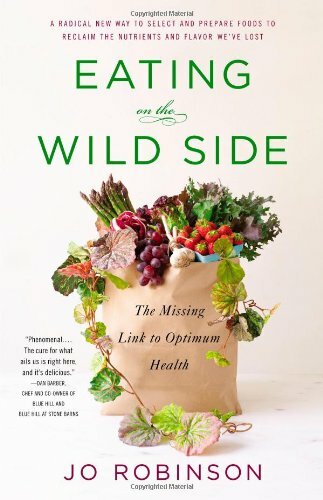 And even though I'm not a complete health nut, I still enjoyed reading it. I will randomly draw a name on July 1. Please leave a name and email address so I can contact you. No info means no book. Also I will provide extra entries to everyone who shares this on Facebook. Just post another comment letting me know you've shared. Back in the 1950s everyone waited until they were married to sleep together and everyone got married. Or at least that is what the norm was. But enter the 1960s and everything changed. Free love, no strings attached kinds of relationships began to become more normal and accepted. It is now over 50 years later and the difficult part of a relationship for a woman is often getting her boyfriend to actually marry her. The author/facilitator put together 50 stories about different women who were married after 1990 and what they did to get their boyfriend to become their husband. I really enjoyed this. The stories were well written and really fun to read. The author did a great job of picking interesting stories. While I didn't have to deal with this issue, I found the statistics she gave alarming and the advice and stories fun and informative. Even if you are already married, you can still really enjoy the stories in this book. Will be checking out the other books by this author. Serge spent over five years traveling the world to raise money for impoverished children. He ran while his wife, Nicole, followed on her motorcycle. It seems impossible and crazy. The statistics during his time was astounding. He averaged a marathon every other day, drank 6 tons of pop, and wore out 64 pairs of running shoes. But despite accidents, dangerous animals and people, terrible weather conditions, and the overall wear on his body, Serge kept running. This book is his story. Rarely do I come across a book that inspires me as much as this book did. I could barely put it down and was so disappointed to have it end. It's inspiring, motivating, touching, and heartwarming. This man is crazy, but in all of the good ways. If he can do this for children he doesn't know, what can we do? I've only read through it once (although give me time and that will change), but I have already dog eared so many pages. This man's drive and guts are inspiring, but he was also gifted with a way with words that really spoke to me. I highly recommend this book, even if you aren't a runner. I received this book free of charge from Levine Communications in exchange for my honest review. Three best friends are living in the city and learning how to cope as Muslim women in a modern day America. Each of them take steps that turn them towards a more modern view of their lifestyle and religion. But when hard situations come calling, which ones will return to their heritage and embrace the traditions they were raised with. I was a little apprehensive about reading this book. I've had some bad experiences with "Indian" books before. But I was not only pleasantly surprised, I was impressed. On the surface, this is a love story about three girls and some of their friends. But on a deeper level it's about how our traditions affect our lifestyle decisions. It's about making choices that affect everyone around us. It is about not letting our preconceived ideas color our view of the world. I enjoyed the romantic aspects of the story, but I also enjoyed the parts that got me to thinking about what and why I believed the way I do. If you want a light romantic read, you could probably read this book. But don't be surprised to find yourself re-thinking issues and pondering thoughts presented in the book. I'm looking forward to another book by this author. I received this book free of charge from St. Martin's Press Publicity in exchange for my honest review. Written to follow the same concept as his first book Pray the Scriptures Bible, the author takes the concept of praying about and through certain Bible passages. Forty different scriptures are used for each day. A small devotion on the authors thoughts begins the chapter. The next part is a verse, followed by questions with space for answers. It ends with a section called Reflect + Pray + Discuss with space for answers. The author is trying to get the reader to pray using scripture and to become so use to praying that it becomes an every day, every moment thought. The idea behind this concept is sound. If used properly the reader will become in the habit of praying more and reflecting more on what is read in the scriptures. The book was well written and I liked the idea, but some of the sections were a bit dry. The book would work well in place of a devotional. Also be sure to share on facebook, twitter, etc. I will randomly draw a name on June 28. So please leave your name and email address in the comments if you would like to be entered into the drawing. No info means no book. Also I will provide extra entries to everyone who shares this on Facebook. Just post another comment letting me know you've shared. Suffering from tragedy in her life, the author reached out to a friend to complain. The email she received in reply would change her life and the lives of countless others. She was counseled to find three things each day to be thankful for. At the end of the year she would have a list of one thousand gifts from God. Gifts that she might not have otherwise noticed were written down and the Joy Dare was born. This book was written around that idea - to find joy in everything and everywhere. This book is one that I can honestly say changed my life. It was first brought to my attention by a friend. We began reading it for our Bible study in conjunction with doing the Joy Dare. My eyes were opened to so many things I'd previously complained about. This book is not all joy and laughter though. Each chapter brought conviction and a resolve to be more positive. It will touch your soul and leave you changed for the better if you will let it. The author has a beautiful gift with words and reading each chapter was a joy itself. But she was also blessed with some inspirational insights that are reflected though out the book. I will be keeping and re-reading this book while I hope for another from this author. Be prepared! I'm going to be giving away quite a few books this summer. My husband is beginning to complain about them cluttering up the desk, so they must go. The first book I'm going to highlight is a favorite of mine. I'm currently reviewing the series and have loved every book. When the publicist asked about a give-away I jumped at it. I will randomly draw a name on June 24. So please leave your name and email address in the comments if you would like to be entered into the drawing. No info means no book. Dana is thrilled to learn that she has a cousin she never knew about. She promptly sends out an invite to have her cousin come for a visit. But Dana's best friend Hilde isn't so sure about this cousin. Something just feels off. But Dana won't believe her, and it's ruining their friendship. Full of drama, suspense, and a touch of romance make for a fun story. This book is obviously part of a series, but I didn't feel like I was missing out on too much of the story. There is obviously some previous drama with other family members, but it doesn't play into this one very much. The outcome was pretty predictable, but the path to get to that outcome wasn't as predictable. I would read another book by this author. Jennifer O'Malley loves working with her little patients. She's able to connect with the children, but has a hard time connecting with a fellow doctor who is interested in her. But patience on his part breaks down her barriers and she falls in love. Tom shows her how wonderful true love can be and introduces her to his God. Jennifer now has three things to tell her family about at the next picnic - her new found faith, a new fiance, and a cancer diagnosis. This book is a prequel, of sorts, to the O'Malley series. Jennifer's story is mostly told throughout the other books in the series. The story is short (think novella size), sweet, and not her typical style. 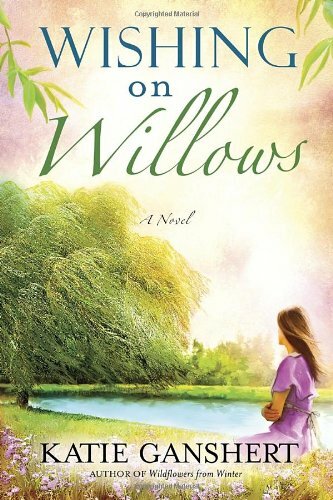 While it wasn't in the style of the other books, I enjoyed hearing how Jennifer met her fiance and seeing the story from her side. I will be keeping this book to go with the other books in the series, but I hope that the author returns to her typical style of writing with the next book. I am the type of person that researches a topic to death. So I've read a ton of parenting books. Since my children are not at the tween age yet, I thought I'd get a jump on it and read this book. I was pleasantly surprised. The book is filled with tons facts and information, but is also incredibly easy to read and process. The ideas and thoughts given are easy to incorporate and sound reasonable. The concept behind the book is letting go of emotions when dealing with an emotional child so that wise parenting can come into play, instead of a fight to the end with your child. Essential tips, bullet points and hypothetical conversations are extremely helpful and were brought back to my mind several times this week when dealing with my children. While geared towards older children, I found them very helpful with my younger children as well. If you want emotionally stable children and less stress for yourself during the process, pick up this book and implement the ideas the author has presented. I would definitely recommend this book to anyone with kids. I received this book free of charge from Sandpiper Publicity in exchange for my honest review. Claire is left at the alter when her fiance is killed in a bizarre car crash. The incident changes the lives of several people. Tobias, the fiance's brother, leaves the community in shame. Claire suddenly finds herself an unwed mother, something not really accepted in an Amish community. Years later, the two meet under unusual circumstances. Can forgiveness bring healing to them both? 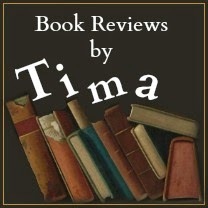 The author is very gifted, so the story was engaging and flowed smoothly. When I finished the book I felt more knowledgeable about the Amish and felt I'd spent a pleasant afternoon with a good book. I did, however, feel there were some negative things for me in the plot. I enjoyed the reality and Christian aspects that were infused throughout the story. But I didn't like the conclusion or the way the author resolved the issues with Tobias and how he handled his career. But since I'm not Amish, this might have played a part in my desire for a different conclusion. It just felt very unrealistic for me. But overall, it was an enjoyable story that I had fun reading. I received this book free of charge from Pure Publicity in exchange for my honest review. "Why did the water vapor condense? It wanted to dew something." Join the author as she explains different facts about the weather. Facts about snowstorms, climate change, and rain are combined with jokes, riddles, and rhymes. Seventeen different weather related items are discussed and joked about. Each page is filled with colorful pictures and often hilarious illustrations. The last few pages are filled with more resources for learning about the weather and several pages about how to write and tell jokes. A glossary helps the reader learn and understand new words about the weather. Children will love the humor while learning more about the weather. Parents and teachers will enjoy the easy to learn science lessons. This book would be perfect for teaching children about weather in a school setting, but any child would enjoy reading it. My son loved both the informational sections of the book and the jokes about the weather. Come follow ten little animals as they work and play throughout their day. Bright and colorful illustrations will capture the attention of the child. Questions about the animals help the children search the page for little clues. At the bottom of each page are nine items the child can also search for. The artwork is eye catching and entertaining. Children could spend quite a bit of time examining all of the things on each page. It will be a perfect book for teaching children about progression and identifying items. The storyline begins in the morning and ends when the little animals go to bed. The plot shows a sense of family and community. The animals are small and children will be able to identify with them. The book is large enough to spread across a parent’s lap so the child can interact with the story. My four year old daughter loves this book and has asked me to read it to her repeatedly. Ruby doesn’t like her little brother, Oliver, very much. All morning she has begged her mother to come and play with her and the dog Rory. But mother is too busy taking care of Oliver. Ruby decides to come up with a plan to get rid of baby brother. Maybe she can sell him at a yard sale, or make him disappear in a magic act. But her best idea is when she decided to build a rocket ship to send him into space. As she is finishing her rocket, mother comes out to play. Mother convinces her to allow Oliver to join them and they spend a wonderful afternoon together. That evening, Ruby decides she likes her brother after all. Adorable, soft illustrations help tell the story and convey the frustration of the little girl. Children will love the colorful pictures and concepts presented. The story would be perfect for a child struggling with the invasion of a new sibling. Anyone who is on the internet or listened to the news has read or heard about the issues surrounding our food. The author takes the fruits and vegetables that we eat everyday and explains how to help us reclaim the lost nutrients and flavor we've been missing. At over 400 pages, the book is pretty intense. But I was surprised at how easy it was to read and process. Each chapter takes a different type of fruit or vegetable and begins by explaining its origins and how the current food we eat resembles the original food. The chapter is then broken down into sections on how to grow or find the best and most healthful varieties, recipes and cooking instructions, and points to remember. The book is a great resource for the beginner as well as the more advanced health enthusiast. The information is well researched. It is also well written so as not be be too dry and boring when presenting all of those facts. 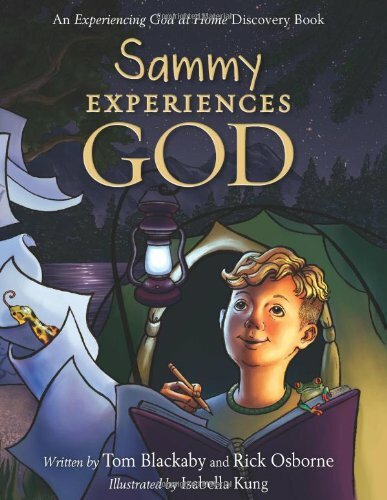 Written as part of the Experiencing God series, this book encourages families to bring God into the home and fully experience His rich blessings. Two brothers wrote the book together and bring lots of personal stories and experiences into their writing. It's well written, with a beautiful and practical message for parents. 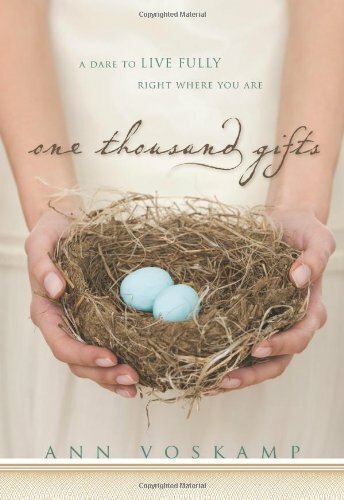 I enjoyed reading this book, but also learned quite a bit that I plan to incorporate into our home. This is definitely a book I'll be keeping. I would highly recommend this book for families. I started reading this book because of my six year old son. And I'm so thankful I did. Most of the ideas/concepts in this book are not new. But everyone needs a reminder from time to time. Fuller stresses the importance of encouraging, listening, and understanding your son. Each chapter is an encouragement to me as a mother and inspires me to try even harder to be there for my son. It's definitely a book I'll be keeping so I can read it again in the future. Each chapter begins with a quote and ends with discussion questions to further more thoughts into the subject. This would make a great Bible study for mothers as well. The author writes well and the book flows smoothly. It was fun and enjoyable to read, while still bringing home important facts about my relationship with my son. I've enjoyed everything I've read by this author and plan to check out her other books.